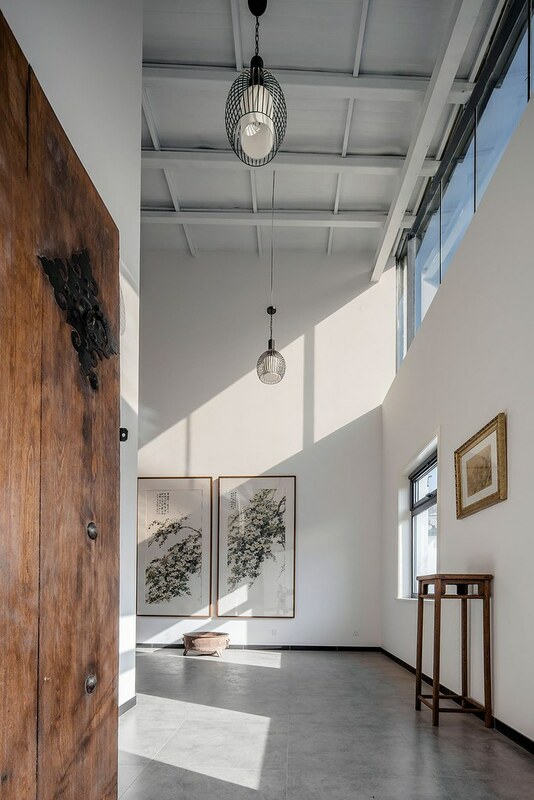 The main designers of Office PROJECT, Chang Ke and LiVenhan, were hired by their client, artist and writer, Dr. Xu Hongquan, for the art studio design creation for him in Beijing, China, in Huairou district, which was a game of interactions. 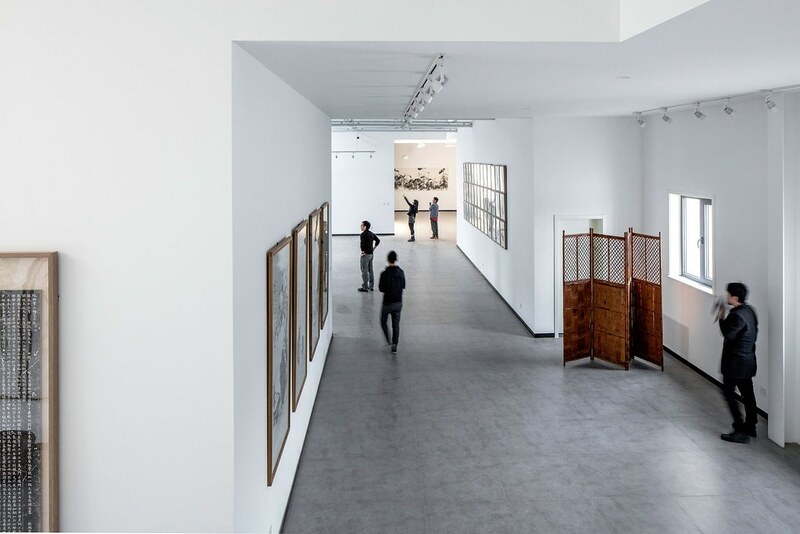 It had to be both a personal space for him to live, and a public space to display his art. 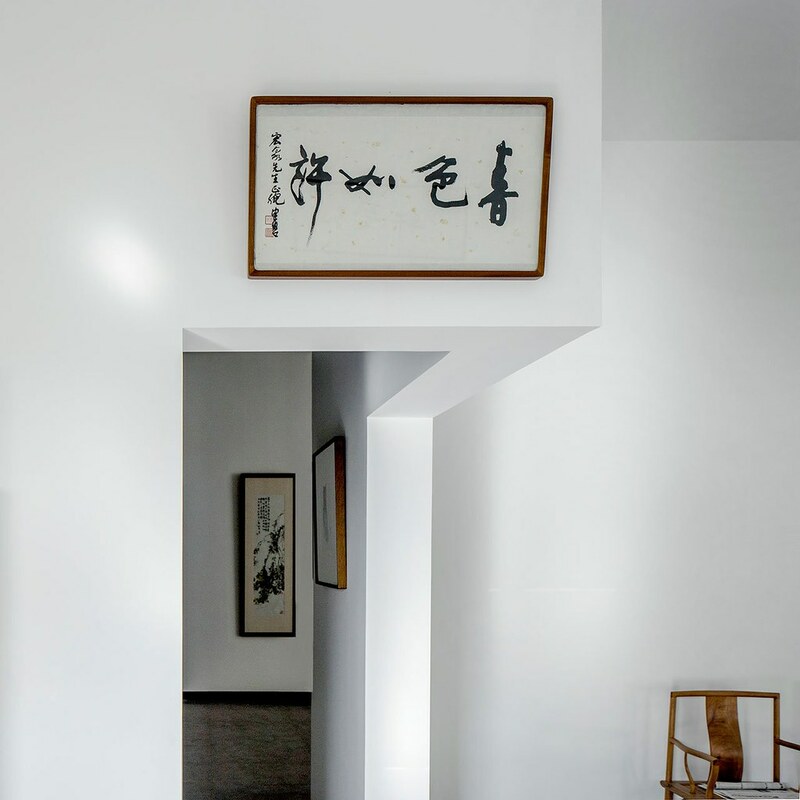 And the project was supposed to cover both traditional, Eastern elements, and modern Western feelings. 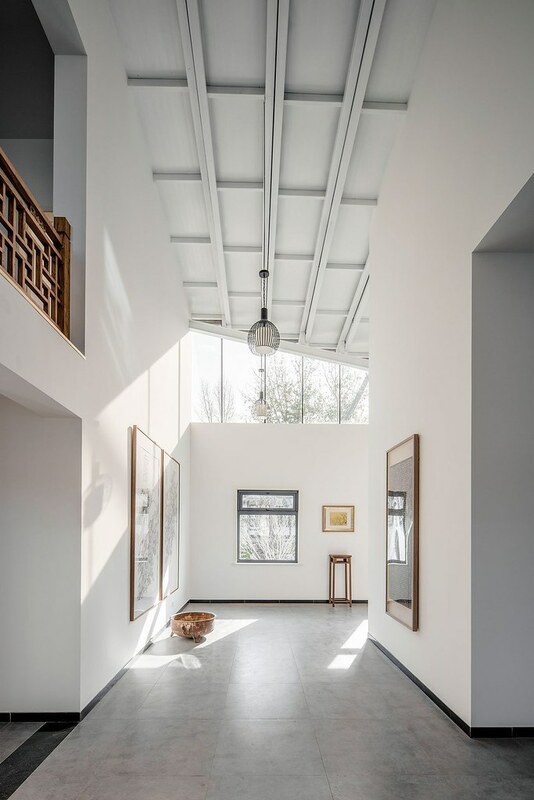 Result: the customer’s expectations were clearly met, and that is obvious when you enter the heavy wooden front door and the lively white interior of the Hall Within Cloud. 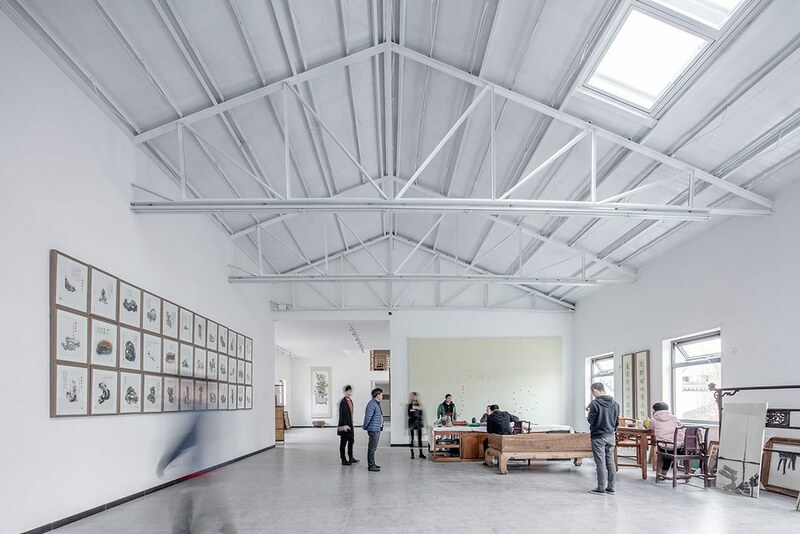 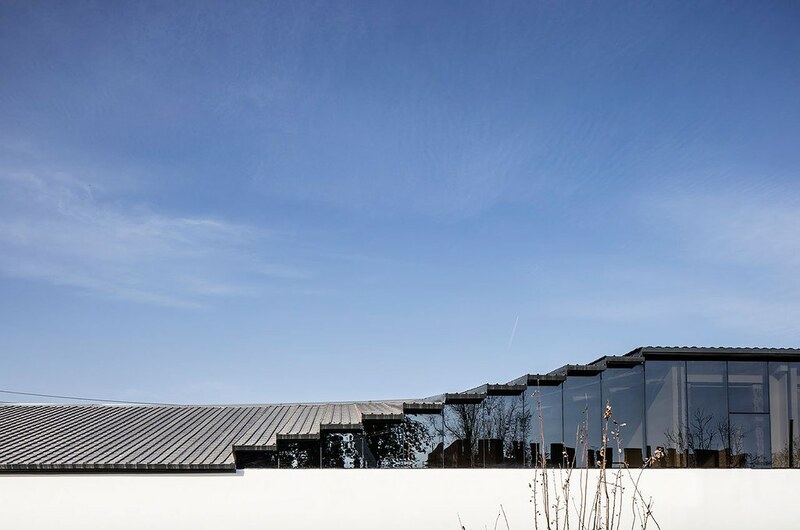 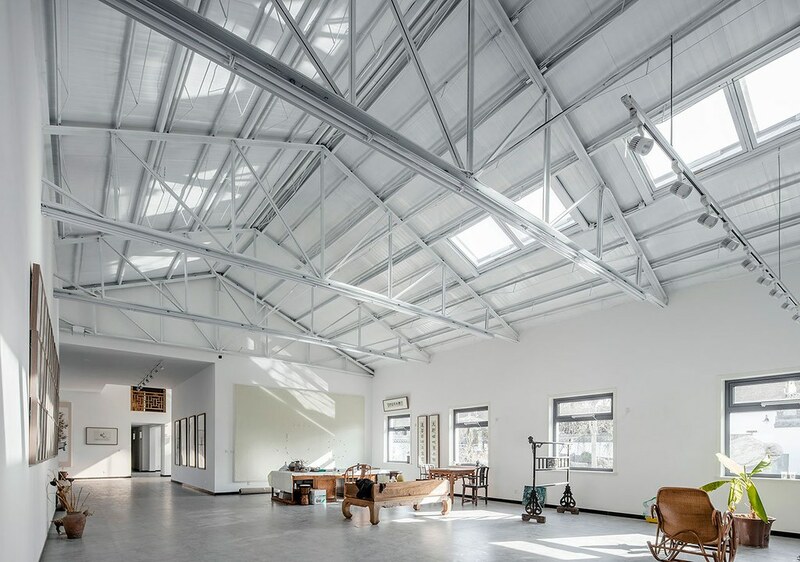 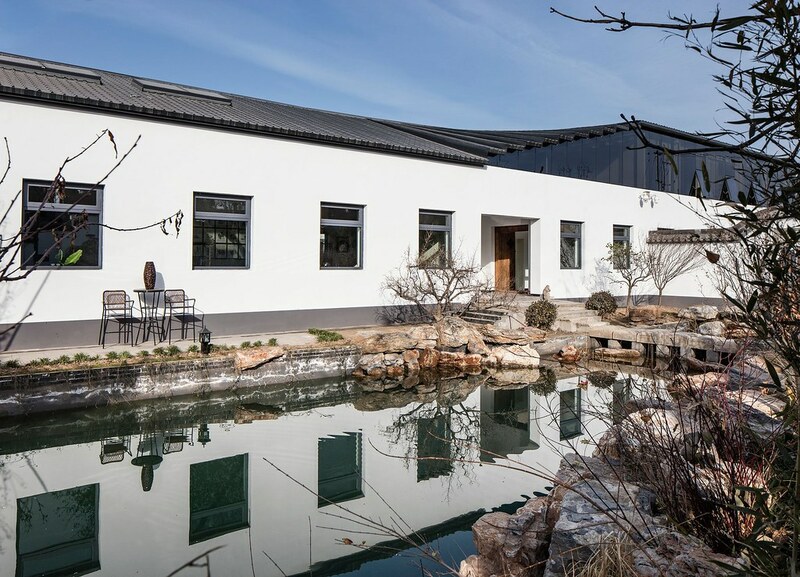 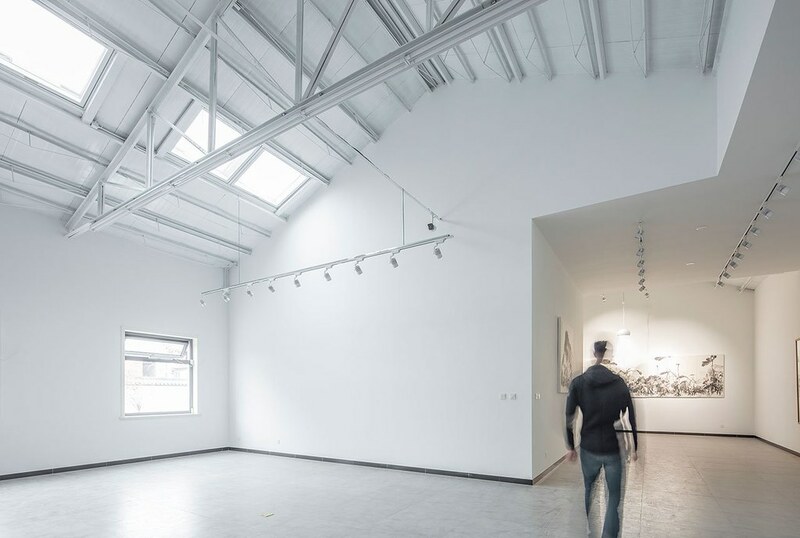 The 800-square-meter building, which was completed in November 2016, is in fact a restored factory office, built of brick with an inclined six-meter steel roof. 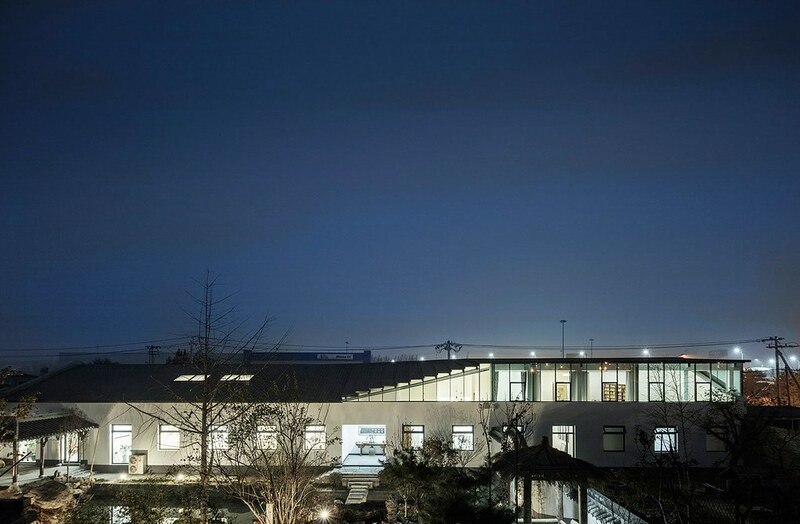 The plot itself is 1200 square meters. 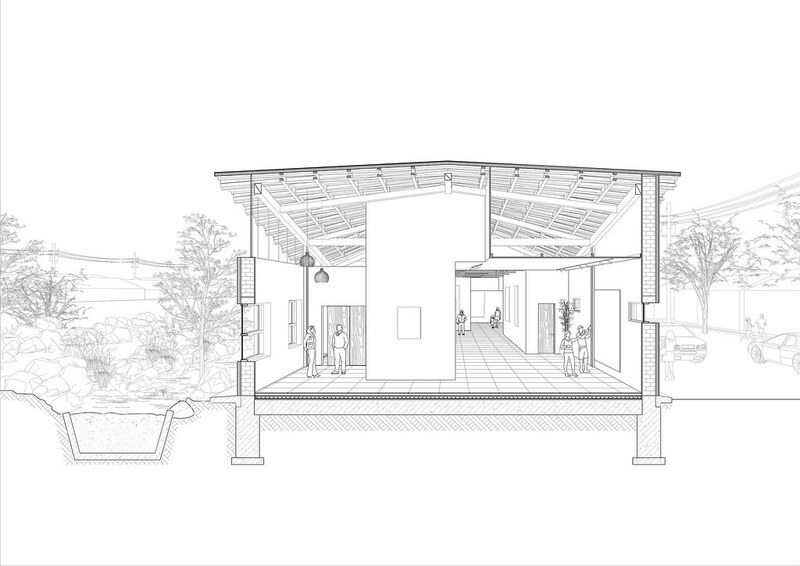 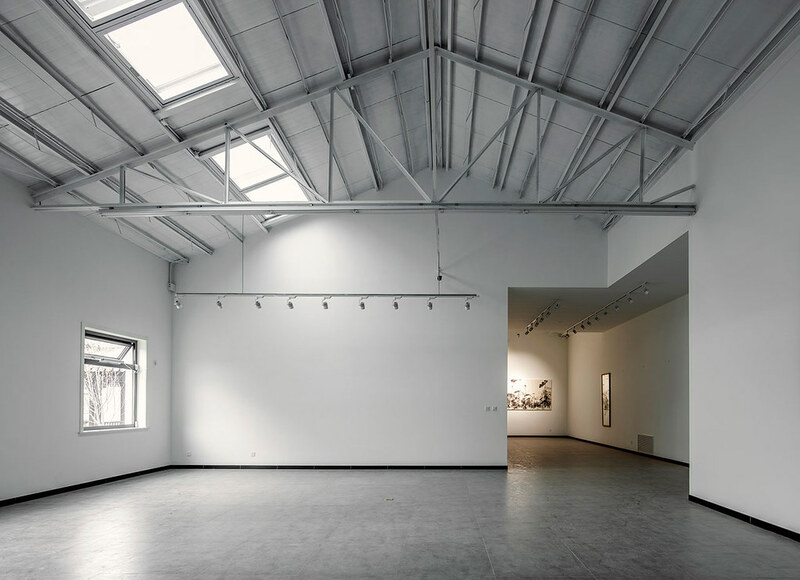 Thus, a linear building itself is like an empty canvas for the art of the owner, giving him complete freedom as to how to use the space. 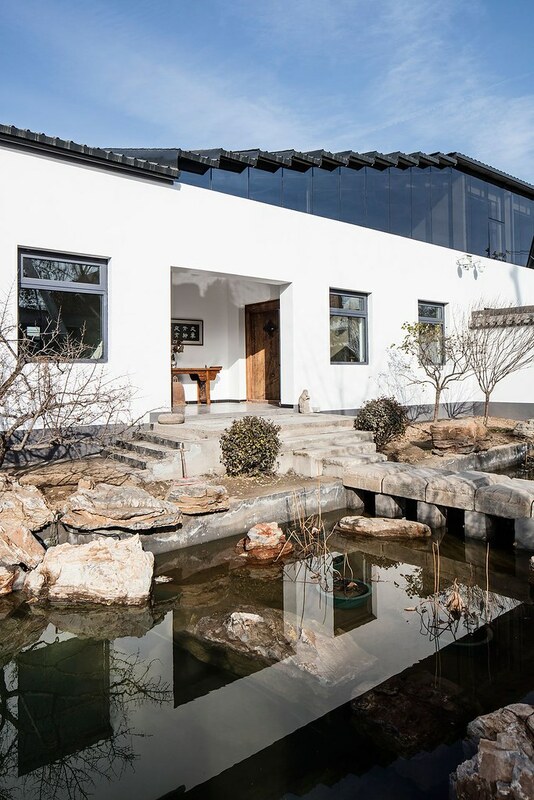 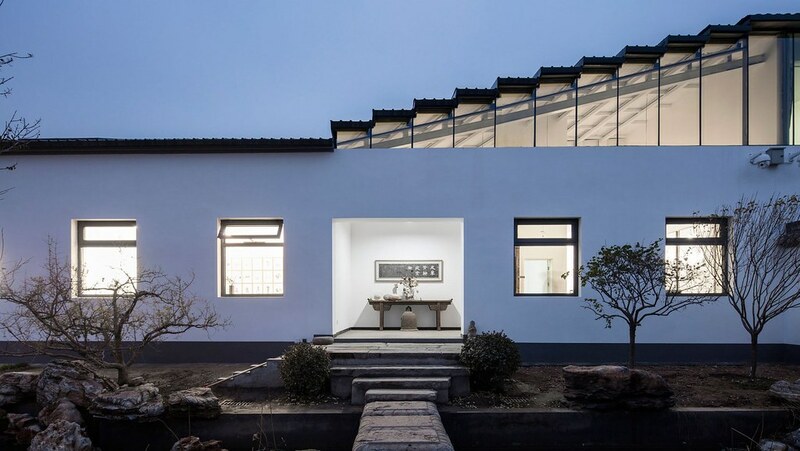 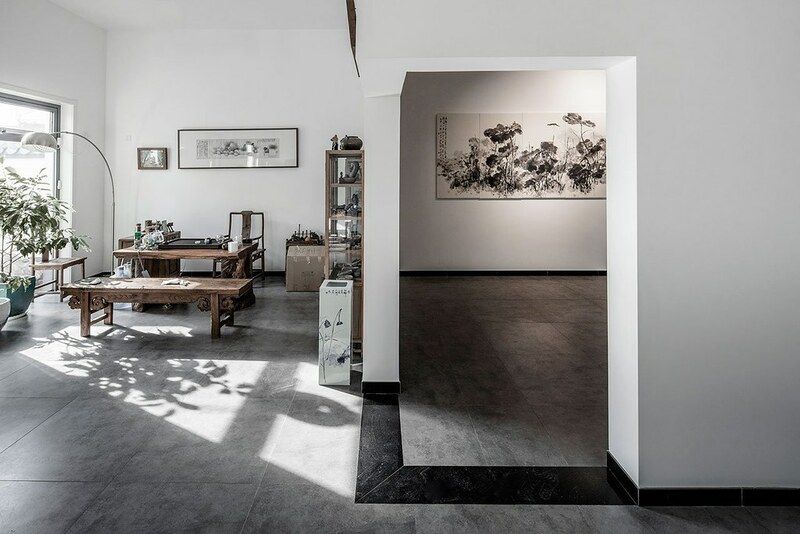 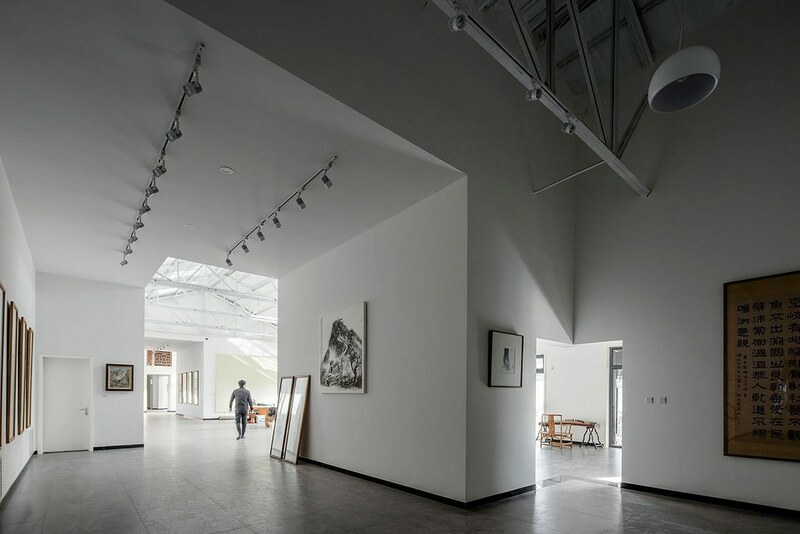 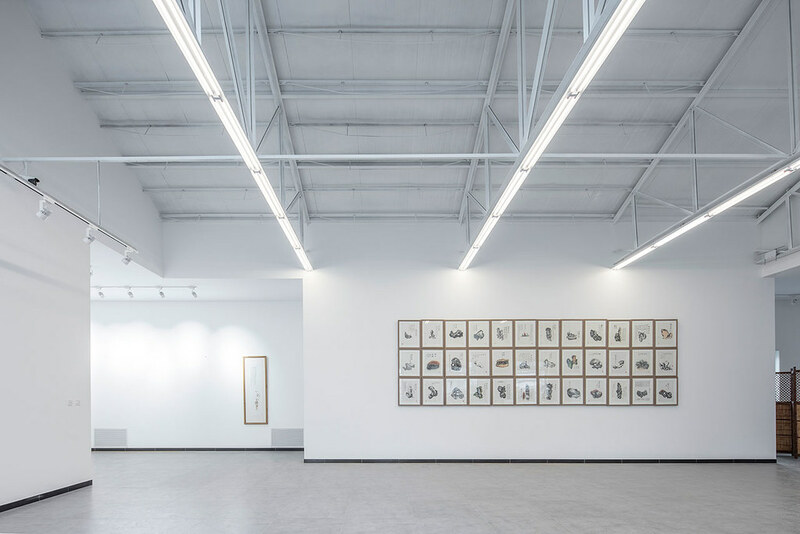 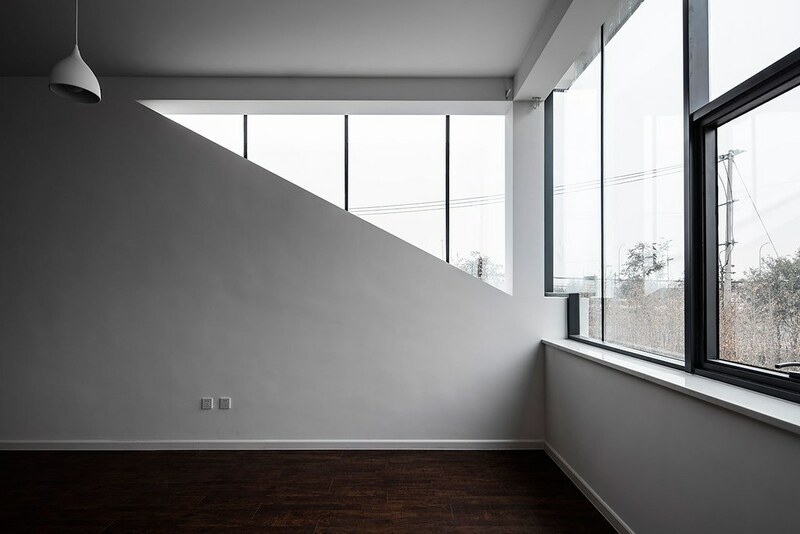 Nevertheless, the architects intended to distinguish the studio, so it had a dual purpose — the placement of both owner’s oil paintings and his traditional Chinese calligraphic works — the gallery, the tea room, the bedroom and the office. 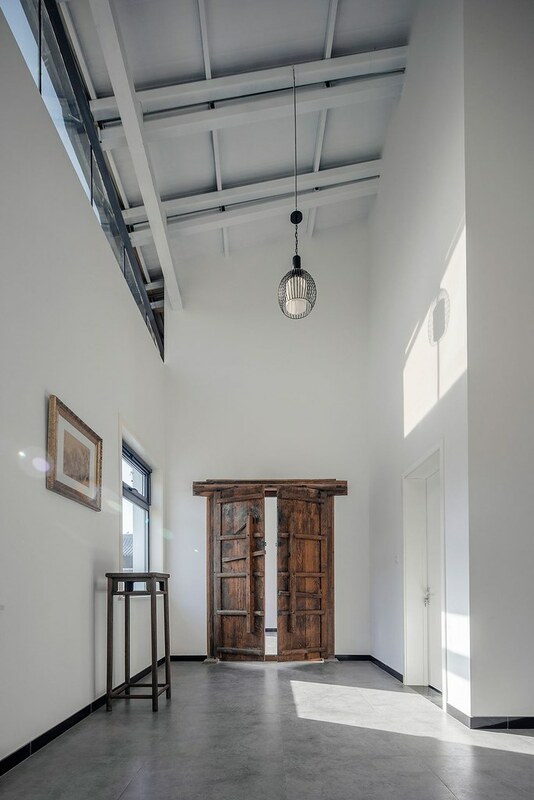 According to the designers, each space has its own unique “scenario”, although they are united by a bright light that spreads freely throughout the space. 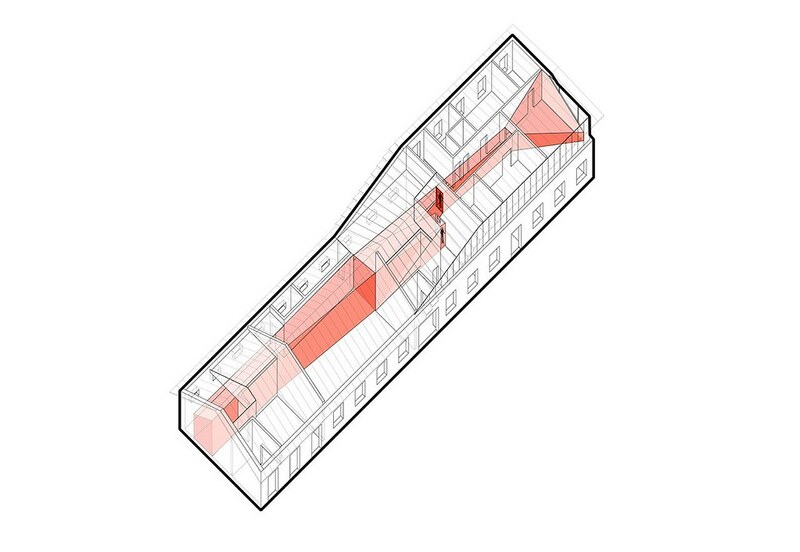 Designers used a “nested layout” in the design, especially in public rooms downstairs, with one space flowing into the other, without the need for any corridors or paths. 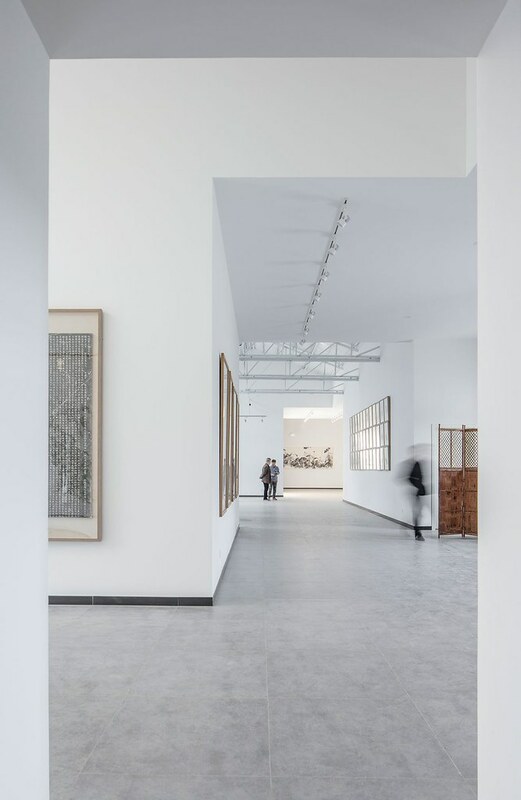 The result is a very open plan where everything flows together; white walls are displaced by a solid gray marble floor, and the light illuminates art and guests. 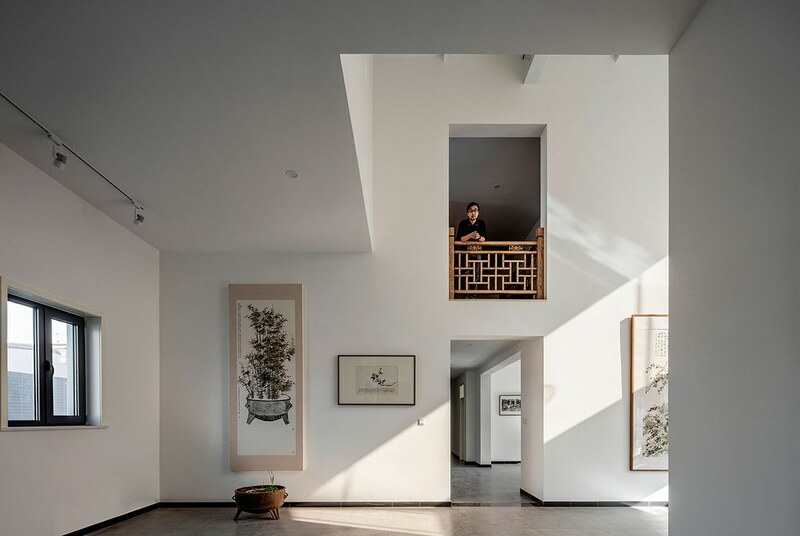 Upstairs, designers adopted the same minimal approach in the bedroom and study, but gave ita slightly more home atmosphere, due to the dark parquet floors and a direct view of the garden and the surrounding forest from the outside.